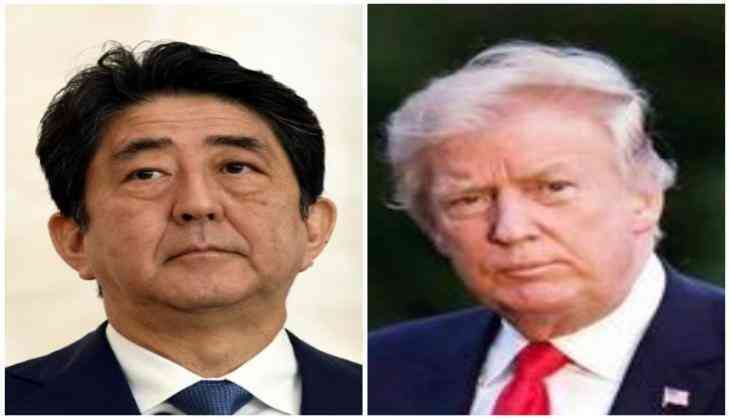 US President Donald Trump said Japanese Prime Minister Shinzo Abe and he were working to improve the trading relationship between the US and Japan during latter's visit to the US. "Prime Minister Abe and I are also working to improve the trading relationship between the U.S. and Japan, something we have to do. The U.S. seeks a bilateral deal with Japan that is based on the principle of fairness and reciprocity. We're working hard to reduce our trade imbalance..." Trump tweeted. This was Prime Minister Abe's second meeting with Trump in less than two months. In April, Prime Minister Abe said he has agreed to "start talks for free, fair and reciprocal trade" with the US. Focusing on strengthening of economic ties between Japan and the US, the Japanese Prime Minister said, "In order to benefit both Japan and the US, we will further expand trade and investment between the two countries."